The AVIXA Foundation, a non-profit charitable and educational organization created by AVIXA to support the audiovisual industry, is partnering with Howard Community College (HCC) to enrich the institution's AV-related coursework in the Entertainment Technology program. Located in Columbia, MD, HCC began offering a Certificate for Entertainment Technology in the Fall 2017 semester after receiving a grant from the National Science Foundation. The curriculum prepares students for in-demand careers such as audio, lighting, video, and live event audiovisual specialists. Offering hands-on learning, the Entertainment Technology program trains students to support presentations, performances, and various events. In addition, partnerships with local businesses and organizations provide students with real-world training opportunities. 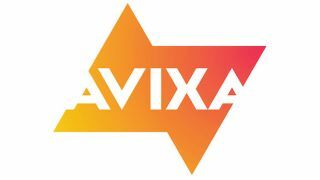 HCC's AV department has been an AVIXA member for several years, participating in AVIXA's professional development, events, and Certified Technology Specialist (CTS) program. Through this new partnership with AVIXA, HCC's Entertainment Technology program will include course content from the association's Essentials of AV Technology course, CTS Prep Online, and the AVIXA-Recognized AV Technologist Test, in addition to other resources. "We built our program to help support the in-demand workforce for the AV job market," said Seth Schwartz, director of production/theater management and project coordinator of Entertainment Technology at HCC. "We want our students to have both the hard and soft skills that the industry requires. The AVIXA curriculum will help reinforce the lab and jobsite training that students are currently receiving in our program." "As the hub for industry knowledge and innovation, AVIXA can help ensure students receive the vital skills needed to succeed in an AV career," said Joseph Valerio, director of workforce development, AVIXA. "Students in HCC's Entertainment Technology program will walk away with a foundational understanding of current audiovisual technologies and services. The hands-on nature of courses, in addition to the expertise of the school's faculty, will deliver the best learning process possible." Howard Community College joins a group of 13 other educational institutions with which the AVIXA Foundation has partnered to bring AV education into the classroom, including Full Sail University in Orlando, Benjamin Franklin Institute of Technology in Boston, Downey Unified School District in Southern California, Columbia College in Chicago, Valencia College in Orlando, Bogotá public schools in Colombia, and more.